You're currently viewing product Newport Line Mailbox with Horseshoe Crab in category Newport Mailboxes. 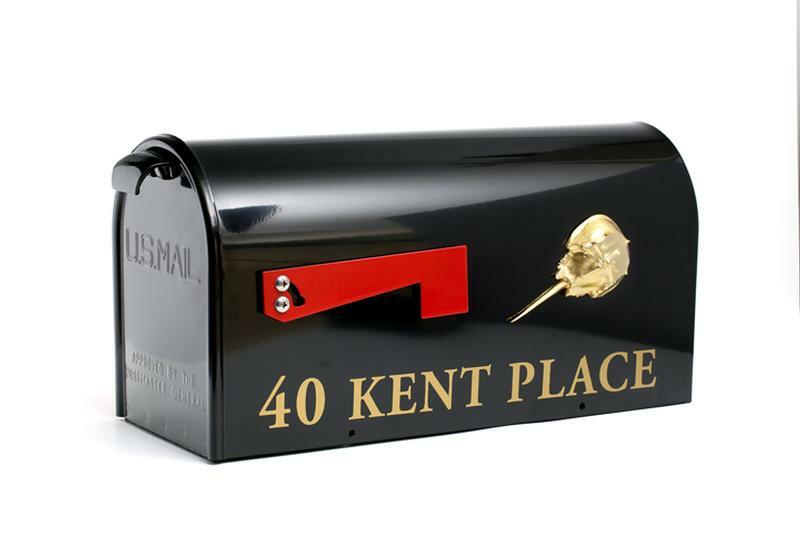 Newport mailboxes come in 8" wide x 11" tall x 22" deep size only... can be ordered with Horseshoe Crab motif on one side as shown in the photo or optionally on both sides if desired. Order with name or address on one side or both sides as well. For shipping purposes; the horseshoe crab will be sent in the mailbox along with mounting instructions.